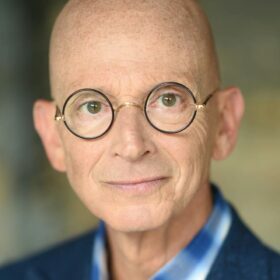 JD Gershbein, Professional Edutainer, is a speaker, raconteur, thought provocateur, writer, social scientist, business psychologist, humorist, philosopher, consultant, coach, video producer, broadcaster, marketer, improvisational comic, cartoonist, playwright, blogger, blues pianist, cinephile, and pizza connoisseur. He is a wandering minstrel who follows a roadmap. He is considered by many to be a Renaissance Man in search of a time machine. He is also the eternal optimist, an outfielder with warning track power, and a long-time aficionado of the owl. He hates liver. He cannot juggle.